Tired of Tiles? We Don’t Blame You, So Let’s Talk About Covering Floor Tiles. •	Remove all contaminants that will prevent good adhesion, such as grease or wax. 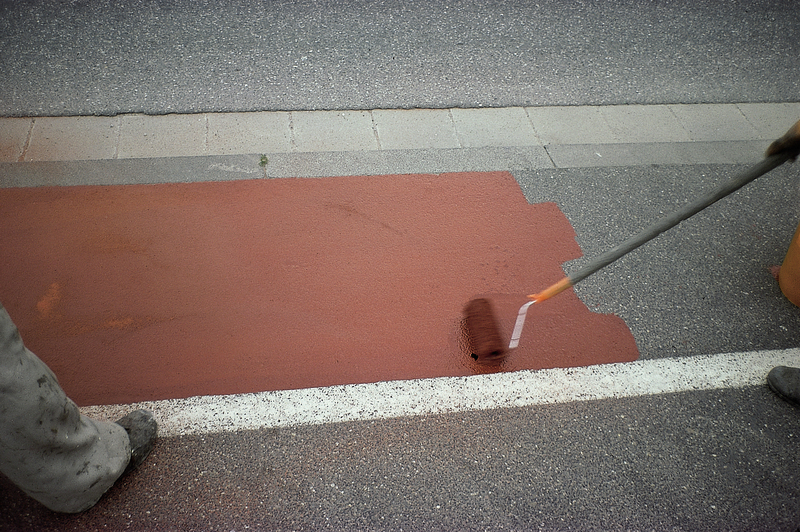 •	Apply a floor leveler or apply a cement underlayment. 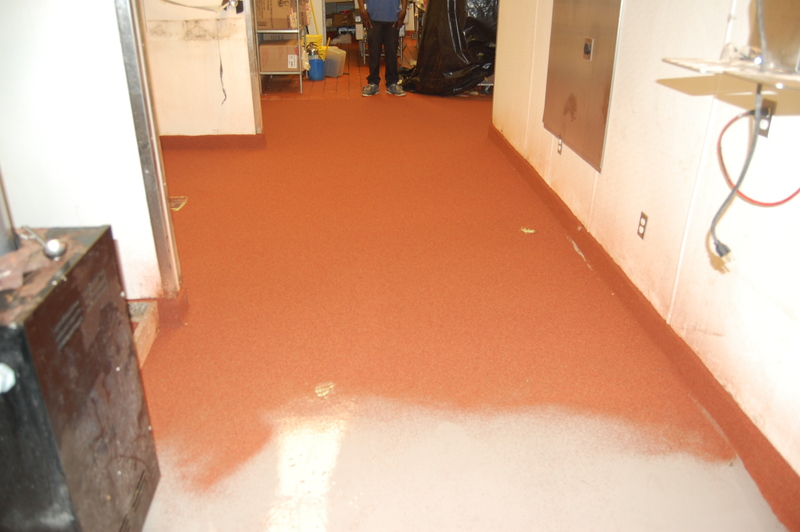 Underlayment must be carefully troweled on, and must dry at least 24 hours before proceeding. 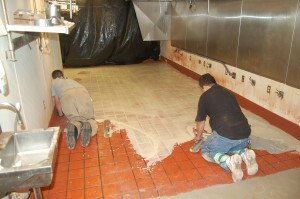 •	Apply thin set and re-tile floor over old tile. You may wish to go through the aggravating work of removing the old tile by the use of a jackhammer or by hand with a regular hammer or sledge hammer, creating an astonishing dusty mess that will leave dust in its wake for weeks! Be sure to wear a mask against the dust created for your own safety before covering floor tiles. You might decide to take the easy way out and instead use Silikal for covering floor tiles. Your old tile may have come away from the substrate because the grout joints have deteriorated. This has probably allowed all manner of dirt and bacteria to enter under the tile creating a cleaning nightmare and it may even have produced a very bad odor problem. Even worse, your tiles may have become soaked with various kinds of oils and thus have been rendered extremely slippery. If there was ever any slip resistant tile coating on the tile, it may have long ago disappeared, and now slips and falls are common. No wonder you want to cover them! When Silikal is applied over the tile it will bond to that tile and never allow penetration of any kinds of liquids because it is impermeable and completely pin-hole free. When mounted with an integral cove base, it provides a seamless, monolithic surface! In addition, Silikal will thus create a slip-resistant coating over your dangerous tile. Tile is often some of the most beautiful flooring available, therefore many people have utilized transparent Silikal to see the tile underneath, yet totally protect it. That’s using Silikal at its and once properly applied, it’s ready to work upon in only one hour! Taking it Outside for the Outdoor Floor System. When seeking an outdoor floor system, most people talk about desiring one that will deliver not only superior aesthetics, bit also one that had either low to no maintenance, but above all they want the kind of durability that cannot be matched! That’s a tall order to be sure. Unfortunately some sellers of these outdoor floor systems want to sell you a stone deck or perhaps a terrace with either tile or gauged stone. Well, perhaps that’s an answer, we’ll see, but one worries about what happens with the weather going under it since it is outdoors. Others want you to take on grade pavers with removable panels. Hmm, that’s a thought too, although one is told to consult a structural engineer if on a raised surface. Sounds expensive. Well, how about modular wood tiles over a weatherproof polypropylene base? Well, that leaves the problem with water intrusion underneath which will allow all manner of things to grow such as mildew, with rotting small animals and insects as well as allowing germs and bacteria to flourish. Then there is rubber flooring which is totally 100% water resistant. Yes, that’s true but it does not create a completely seamless, monolithic surface! Thus all manner of things can get under it as does the above. I am told though that it will outlast laminate, wood and outdoor carpet though, which is very true, but what about the substrate? How long will that last with rubber covering it? It does have one thing going for it, it is UV Resistant, and that’s important. Now we come to the absolute best outdoor floor system, Silikal. It is totally waterproof as well as UV resistant, and it’s designed to last next to forever, usually the lifetime of your floor system. It can take all manner of weather, such as rain, extreme sun, or snow and all the other stuff in the middle. Durability is its middle name, thus you will never have repairs, and what’s more it will not need replacement. Its colors will never fade offering you tremendous beauty besides reliability. It is incredibly easy to put down, and cleaning it is a total breeze. You can have a myriad of traffic over it, and it is still going to be as beautiful as the day it was installed.